Make mine "on the rocks"! Another from the glass and seltzer experiments of Saturday. Thanks to everyone for all your positive feedback on yesterday's panorama. Nice bubbles and lively colors! Super, fantastic Ed!!! Very cool! Too cool, Ed. i love the bubbles and the colors. Great idea ! and colors ! Excellent detail - very cool! 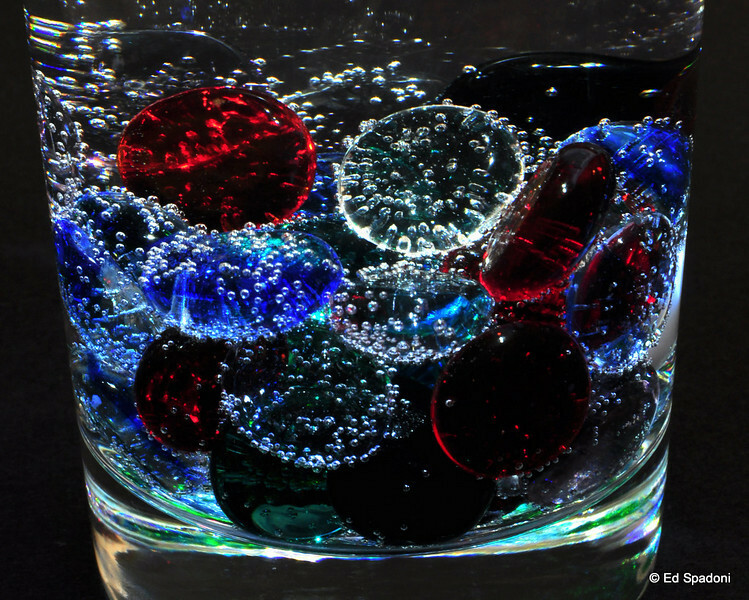 Neat shot, very colorful and bubbly!